Standard Cables for Merlin "T" Series Columns. Various cable lengths available. Connectors on both ends for each column. MPRX Special Cable - 10 Ft.
10 Foot Receiver Cable. Metal connector on control side and plastic connector on column si..
MPRX Special Cable - 15 Ft.
15 Foot Receiver Cable. Metal connector on control side and plastic connector on colu..
MPRX Special Cable - 2 Ft.
2 Foot Receiver Cable. Metal connector on control side and plastic connector on column sid..
MPRX Special Cable - 25 Ft.
25 Foot Receiver Cable. Metal connector on control side and plastic connector on colu..
MPRX Special Cable - 35 Ft.
35 Foot Receiver Cable. Metal connector on control side and plastic connector on colu..
MPRX Special Cable - 5 Ft.
5 Foot Receiver Cable. Metal connector on control side and plastic connector on column sid..
MPRX Special Cable - 50 Ft.
50 Foot Receiver Cable. Metal connector on control side and plastic connector on column si..
MPTX Special Cable - 10 Ft.
10 Foot Transmitter Cable. Metal connector on control side and plastic connector on column..
MPTX Special Cable - 15 Ft.
15 Foot Transmitter Cable. Metal connector on control side and plastic connector on c..
MPTX Special Cable - 2 Ft.
2 Foot Transmitter Cable. Metal connector on control side and plastic connector on column ..
MPTX Special Cable - 25 Ft.
25 Foot Transmitter Cable. Metal connector on control side and plastic connector on c..
MPTX Special Cable - 35 Ft.
35 Foot Transmitter Cable. Metal connector on control side and plastic connector on c..
MPTX Special Cable - 5 Ft.
5 Foot Transmitter Cable. Metal connector on control side and plastic connector on column ..
MPTX Special Cable - 50 Ft.
50 Foot Transmitter Cable. Metal connector on control side and plastic connector on column..
PMRX Special Cable - 10 Ft.
10 Foot Receiver Column Hybrid Cable. Used to interface the older M-Series light curtain control box..
PMRX Special Cable - 15 Ft.
15 Foot Receiver Column Hybrid Cable. 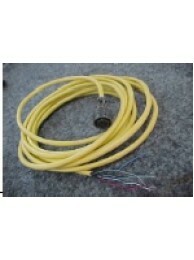 Used to interface the older M-Series light curtain contro..
PMRX Special Cable - 2 Ft.
2 Foot Receiver Column Hybrid Cable. Used to interface the older M-Series light curtain control box ..
PMRX Special Cable - 25 Ft.
25 Foot Receiver Column Hybrid Cable. Used to interface the older M-Series light curtain contro..
PMRX Special Cable - 35 Ft.
35 Foot Receiver Column Hybrid Cable. Used to interface the older M-Series light curtain contro..
PMRX Special Cable - 5 Ft.
5 Foot Receiver Column Hybrid Cable. Used to interface the older M-Series light curtain control box ..
PMRX Special Cable - 50 Ft.
50 Foot Receiver Column Hybrid Cable. Used to interface the older M-Series light curtain control box..
PMT Control Cable - 10 Ft.
MTP cables are for the PMT control with MT columns. 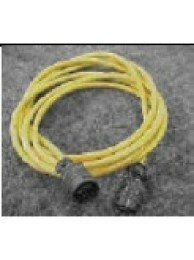 Cable connects to the bottom of e..
PMT Control Cable - 15 Ft.
PMT Control Cable - 2 Ft.
PMT Control Cable - 25 Ft.